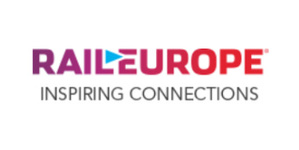 Rail Europe takes pride in their company's European heritage. They are passionate about sharing with experiences, cultures, and insights with their customers. They developed expertise and knowledge in order to provide travelers with an authentic European experience. They believe the spirit of train travel is about enjoying simple pleasures, respecting the environment and connecting to people, places and cultures. It is the ease with which Rail Europe brings these together that creates a rewarding experience for both customers and the company.